Take 237 to Stahl rd. to right on Setters Dr. to left on Frontier to right on Linden road to left on Peak at end of the street in Cul-de-sac. 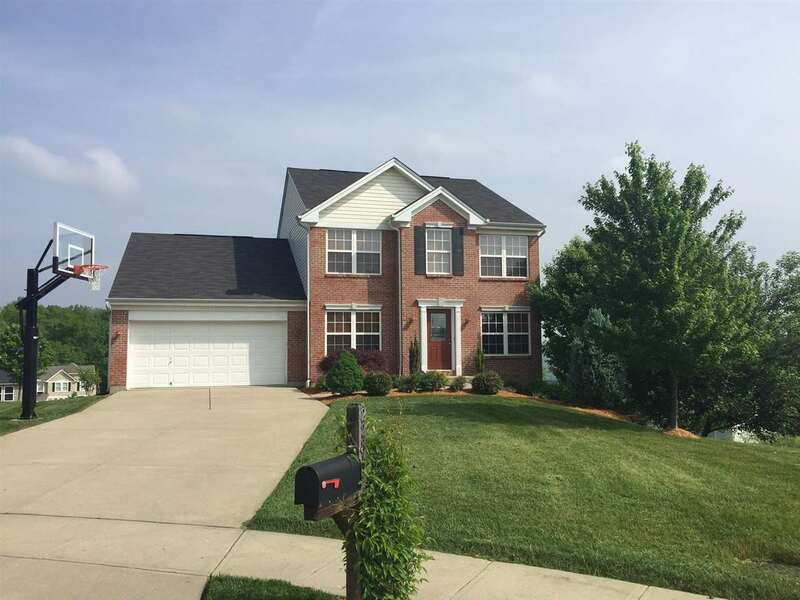 Quiet living at the end of a cul-de-sac this 5 bedrooms 3 1/2 baths home. Open living room with gas fireplace & kitchen area. Nice study as you walk-in the house. Bedroom on 1st fl. off kitchen w/ full bath great for out of town visitors. 4 large bdrms. upstairs. Newly finished walkout bsmt. with bath room, large patio & room for storage. A 1 year HMS warranty included! Great view of the river!